One mistake that many people starting dropshipping on Shopify make, and which I also made initially, is using the wrong theme. By wrong, I mean a theme that does not convert well. Now, you may hear some “guru” somewhere saying that the theme you use for your store does not really matter. 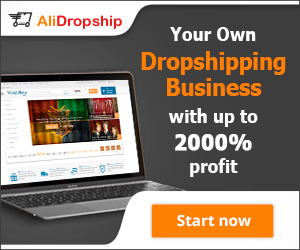 However, from my experience, as well as that of many other successful dropshippers, theme matters. And it matters big! Think about it; would you give your credit card details to an online store that looks mediocre or unfinished? Heck, I usually go through the “About”, “Returns”, and even “Location” pages before I get the confidence to buy from an online store. This is especially true if I’ve not heard of the store before. In fact, I also do a quick search about the store online, check its Facebook page to see whether it’s a “ghost town” or there’s some activity going on, and check their Twitter profile. After all, I’m about to give money to a random stranger online who may or may not be a scam artist. Perhaps this is just me, but the majority of people will only purchase from an online store if it looks presentable and like that of a “real business”. With that said, one of the reasons why you may be driving tons of traffic to your Shopify store but not making as much sales as you would have wanted is because you are using a poorly designed theme. You may also be using a free theme that is not customized for your business. To improve your sales, I highly recommend that you go for a premium theme. While Shopify is not as popular as a platform like WordPress, I’ve seen some excellent themes being sold for less than $100. In this guide, I uncover 10 of my best Shopify themes for dropshipping that you should use to boost your sales. I’ve also included the theme I’m currently using for my most successful Shopify store. Without further ado, let’s get started with this Shopify themes review. What Do the Best Shopify Themes for Dropshipping Have? When it comes to ecommerce themes, whether for WordPress or Shopify, there are a couple of things you should be looking for. After all, with ecommerce, you are driving traffic that is ready to buy your product. The traffic may be coming from Google organic search, forums, social media sites, paid ads, and so on. The bottom line is that you want the visitors to act there and then and buy your product. Therefore, the ecommerce theme you use should help you in this respect. The best Shopify themes for dropshipping should not only be visually appealing, but also functional. There are many moving parts that make a successful Shopify store and a good theme is just one of them. You want a Shopify theme that is easy to customize and that you can easily tweak various features to test what works best for your market. The theme should also be easy to setup. That is, you should be able to have a functional Shopify store in a couple of hours, and tweak the theme over the coming days or months as you test. This is how I’ve had the most success with my Shopify stores: By testing and tweaking. Coming from a background of WordPress, I was so used to customizing the themes that it really didn’t matter which one I used. However, with Shopify, the customizations can be a little limited especially if you are not a developer. For this reason, I’ve been more careful when selecting my Shopify dropshipping themes. First off, I find out about the developers of the theme. I prefer themes developed by solid developers as this usually means they will be updated down the road, the support is awesome, and you can expect new features that can help to improve conversions. Shopify themes come with different features which may or may not be necessary for you, depending on the product you are selling. Some of the features I prefer seeing in themes include different menu styles, ability to collect emails from my visitors, a slideshow on the front page, and an overall aesthetic that matches the products I’m selling. How Fast Does the Theme Load? Speed is an important factor when it comes to conversions. If your store takes ages to load, potential customers can navigate away and make you lose a sale. Therefore, make sure you get a fast-loading Shopify theme. Budget is another thing I consider when looking for a dropshipping theme. I’ve found that the best themes cost about $100, more or less. This is unlike WordPress ecommerce themes, which typically cost $50 to $60 on Themeforest. The prices of the best Shopify dropshipping themes are high, partly because there are not many Shopify developers, as compared to WordPress developers. However, for about $100 or so, I would buy a Shopify theme any day rather than go for a free one that would not convert customers or get a custom one designed, which can cost thousands of dollars. Is the Theme Mobile Responsive? Did you know that more people are shopping online using their mobile phones? You must have seen those ads on Facebook which when you click, they take you directly to an online store. I know this firsthand. The last thing you want is a Shopify dropshipping theme that does not look great on different devices. Make sure any theme you get is mobile responsive. Here, it all depends on the dropshipping niches I’m tackling. I have Shopify stores that sell a single product line, a single niche, and multiple niches. Depending on the number of products you would be selling at a time, you may want to check whether the theme you want to choose will make your store look great. Finally, I also check whether the developer offers money-back guarantee. Sometimes, you’ll find Shopify themes that look great on the demos. However, when you install them for your store, the store just doesn’t end up looking like the demo. Heck, you may even hate struggling with making the theme look exactly like the demo. To avoid losing money, always check whether the theme you want to buy comes with a money back guarantee. This way, you can play around with the theme and decide whether it’s worth keeping or would have to ask for a refund. If you have noticed, all the features that we’ve discussed above are related to conversions and sales. For me, it’s all about the end goal: making sales. I do not simply choose a theme because it looks pretty, but mainly because it will help to improve my conversions. I prefer themes that have conversion-focused features such as the best design elements to build trust, enhanced shopping carts, scarcity timer, and more. These are the features that set the best Shopify themes for dropshipping apart from the rest. If you’ve read up to here, you now have a clue on what to look for in a good ecommerce theme. Now, let’s get to my top 7 best converting Shopify themes that I use for my stores (and would recommend you also use if you want to make sales). eCom Turbo is a new Shopify theme that I’ve tested on 3 of my sites. This theme is designed from the ground up by a 7-figure online marketer Frank Hatchett, whose course eCom Elites, helped me start actually making money with dropshipping. I wrote a review about the course a while back if you are interested. What I love about eCom Turbo is that it has most of the features that help to convert visitors once they are on your store. The theme is easy to customize and has unique features that appeal to the psychology of the visitors. Talk about things like countdown timers, coupons, sales popups, and more. This is the theme that I’m using for 3 of my best performing Shopify stores. I’ve written a full review of eCom Turbo here. You can also check the price of the theme here. Remember earlier on in this review we talked about how your store should look like a “real business” to increase conversions? The Editorial Shopify theme will help you do just that. This theme has a high agency kind of vibe and allows you to put your brand story at the forefront. The theme has two different styles to choose from. Your products, images and text are all featured on the homepage to make it easy for visitors to quickly get the information they want. I also like the look of the theme. What I love about Aspen is its blog implementation. If you are selling expensive items on your store, you may need to tell a story about your brand or the product to give visitors a reason to buy. Anything that is over $200 requires some copywriting to speak to the visitors and convince them of their need to buy the product. With Aspen, the blog implementation will allow you to tell your product story. The blog implementation is also great for writing product reviews that will get free traffic from Google and other search engines. Aspen has a long format homepage with plenty of space for you to show your products through images and text. The theme also has Parallax effects, a quick-view of your customers, and will help optimize your larger images. I also love the hero video that is on top of the theme. The Midnight is one of the Shopify themes available on Themeforest and comes with 9 pre-made layouts. I love this theme because it can accommodate a large number of different SKUs and organize them effectively to ensure each product gets its spotlight. If you are in a niche with many products or are testing different products on a general store, this is the theme I recommend you use. The Midnight a sleek and muted design and its accent colors make it pop. Maker is another good Shopify theme with a visually appealing design. This theme works especially well if you have products that will sell well through big, bold imagery, for example, clothes or food. I like that the theme allows you to collect visitor emails once they land on your store. The subscription opt-in box appears on the bottom of the screen and hence does not break the user experience on your store. The Shopify theme allows you to display your products prominently. When visitors scroll down, they can see the features and benefits of your products. You can also highlight various collections in your store. If you are thinking of selling clothes or jewelry, you should check out the ST Boutique Shopify dropshipping theme. This ecommerce theme has many good designs, lots of options and features. This theme is easy to customize and you can build an online shop even if you have no experience with Shopify before. There is an active support forum for the theme and when you purchase a license, you will receive 12 months of premium support. The six months are enough for you to have finished building and customizing your store the way you would like it to look like. If you have drilled down on your niche, perhaps by spying on your competition, or doing other niche research and have come up with a few items that you would like to promote, the best Shopify theme to use would be the Startup. With this theme, you can display all your items on one page (that’s if you are selling one or a few items). On the homepage, there are some elements that will help to establish trust with your visitors. For example, you can connect your Instagram account on the backend for the feed to be shown on the front page. There is also room for a video as well as testimonials on the homepage. The Startup theme is minimalist and will make your store look like a big brand business. However, it does not have a lot of features. Moreover, the price is a little on the higher side for me. What I love about Fastor 2.0 is that it comes with a set of pre-made demos that make it easy for anyone to start a Shopify store. This is actually an easy theme to use, regardless of your experience with Shopify. When you load up the demo you prefer, you can customize it with your products and other content to reflect how you’d like your store to be. You can change the color of the skins and customize many other things to make your store look professional and unique. The only issue I have with the Fastor 2.0 is that the many customization options also impact on your store speed. As you customize the theme, its speed reduces, and this can lower your conversions. If you would like to use the Fastor Shopify theme, I suggest that you only make the necessary customizations to prevent it from loading too slowly. If you are selling gaming accessories or your site is related to gaming, the GameWorld theme is for you. This theme has a similar feel to some of the large online video game retailers and hence, your visitors will be familiar with the design. The GameWorld Shopify theme for dropshipping has a responsive design and runs fast since it’s built on Bootstrap 3. The theme allows you to set featured products, has a blog, and easy-to-navigate drop-down menus. The theme comes in two styles: light and dark versions. If you want other colors, you can customize them on your own. The only downside I see regarding this theme is that it’s specifically built for game accessories (like the best mouse for Fortnite, Call of Duty, etc.) stores. In fact, I rate it as the best Shopify theme for gaming accessories. However, if you are in another unrelated niche, this theme will not be ideal. Verdict: Which is the Best Shopify Theme for Dropshipping? I’ve tried dozens of themes in the past and without a doubt, the above are my top 8 best converting Shopify themes. However, if I was to choose only one, I would go for eCom Turbo for a simple reason: it has all the conversion features you need in a store built-in. I love eCom Turbo because its built-in features are available as apps for some of the other Shopify themes. Thus, with eCom Turbo, I end up saving hundreds of dollars in subscription fees for apps I would have used to increase conversions. And it’s not just me. Hundreds of eCom Elite students are using the theme and seeing awesome results. Check out eCom Turbo price here.